The Tex Files - Home of Arianne 'Tex' Thompson: Is That a Saguaro, or Are You Just Happy To See Me? Is That a Saguaro, or Are You Just Happy To See Me? Hello again, Internet friends! Going to try to keep it short this week, as your intrepid reporter is once again on the road, reporting live from an undisclosed location. I can disclose this cactus, though. It is super freakin' weird. I will be presenting at North Lake College's annual Arts & Literary Festival next week! This gig is especially near and dear to my heart. I've attended a lot of schools, but NLC is my spawn point, my Hogwarts, my ancestral alma mater. If you are lucky enough to live in the Irving area and have daytimes free, check out all the A & L festival - they have an amazing lineup, and it's all free to the public. I am also delighted to say that I've been accepted as a speaker at The Mid-American Review's Winter Wheat Festival! This is kind of obscenely exciting, because *not only* am I going to get to go to Ohio (AND SEE REAL ACTUAL SNOW), I'm also going to have near-fatal amounts of fun with my supreme arch-linguist co-conspirator Jason Wells-Jensen and his posse of language-constructing, uke-tickling adventurers. If you or a loved one are going to be in the greater Toledo area November 14th-15th, come treat yourself to a back-to-back lineup of dialect and conlang and all the writer knowledge you can handle! And finally, the endlessly effervescent Laura Maisano lit up my life with a stellar review of One Night in Sixes. This is kind of triply delightful, because Laura is NOT ONLY the senior editor of Anaiah Press (aka somebody who reads for a living) AND the mother of a very active toddler (aka somebody who has a whole lot of non-reading demands on her time), BUT ALSO my sworn rival: her first novel, Schism, has just been picked up for publication in 2015 - and I already know it's going to blow the barn doors off. Quick, help me congratulate her before jealousy drowns us all - and get ready to hear plenty more of her name before we're done! You better watch out for those man-eating jackrabbits, and them killer cacti. Aaww thanks for the compliments :-) And also,that cactus is creepy. 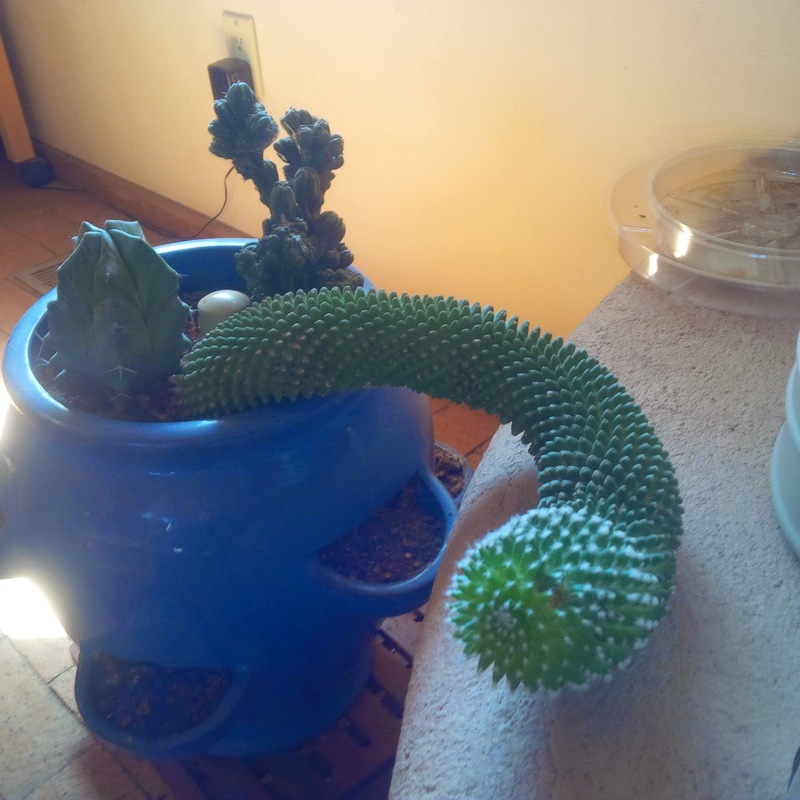 I HAD to click the link because...creepy cactus. Perhaps I should use similar tactics. Totally, madam, totally. If there's one thing we've learned from Freud, it's that creepy phalli are everywhere - and if there's one thing we've learned from the Internet, it's that we will never, ever get tired of them. Take advantage!